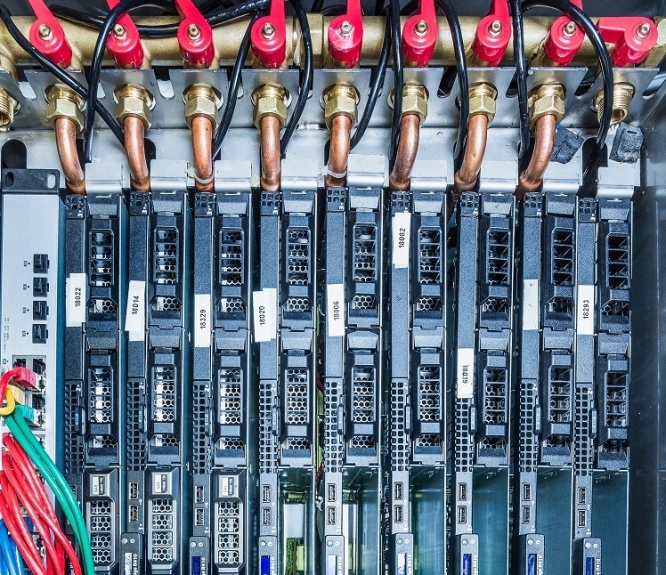 Why spend money cooling giant computer servers when it can give residents hot water instead? All computers give off heat – that is why iPads, laptops and desktops get warm – so multiply that by thousands for banks of servers and you see why a Grenoble firm created a way to scrap inefficient air-conditioning to re-use excess energy. Stimergy provides a cloud data service but says global data centres produce CO2 emissions equal to all the world’s airlines put together – the energy of 60 nuclear power stations – and it is all thrown away into the atmosphere. Now it installs servers in blocks of flats or offices as ‘digital boilers’ – each producing 80 litres of hot water a day, enough for a family of three. Marketing director Floranne Lamoureux says those installed so far, in Grenoble, Nantes and Lyon, give hot water for flats and a university and they were “working on swimming pools”. Nantes council says its test boiler gives water to 40 homes and has cut its charges by 37%.